The Leeds office of national law firm, Shoosmiths has marked its move into brand new workspace at the Platform building by announcing it will take up an additional circa 5,000 sq ft at the landmark development, on top of the full floor it is already occupying. 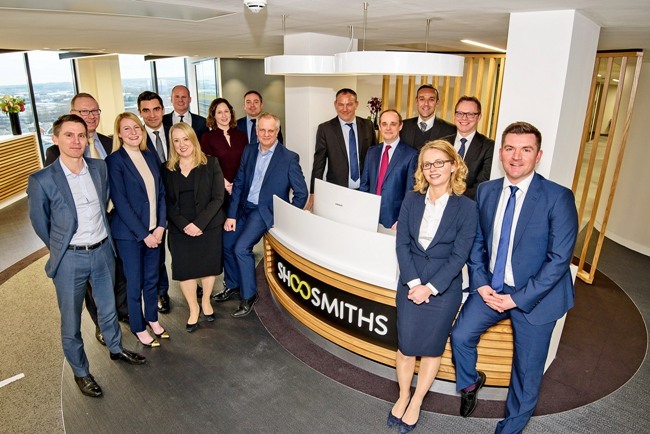 Having originally agreed a ten-year lease to occupy the whole of Platform’s ninth floor, taking a total of 10,000 sq ft of space, Shoosmiths has now signed up for an additional wing of the building – located on the tenth floor, which will enable it to grow its team and service additional clients. Shoosmiths’ agile workspace on the ninth floor has been designed to foster collaboration and innovation, and features both shared and private office space for up to 80 people. The tenth floor space – which will launch this summer, will be designed in the same manner, with all staff across the two floors using laptops or tablet/hybrids to enable easy mobile working.